The team led by Teague identified two planets located approximately 12 billion and 21 billion kilometers from the star. The other team, led by Pinte, identified a planet at about 39 billion kilometres from the star. The image at the top of the page shows part of the ALMA data set at one wavelength and reveals a clear “kink” in the material, which indicates unambiguously the presence of one of the planets. 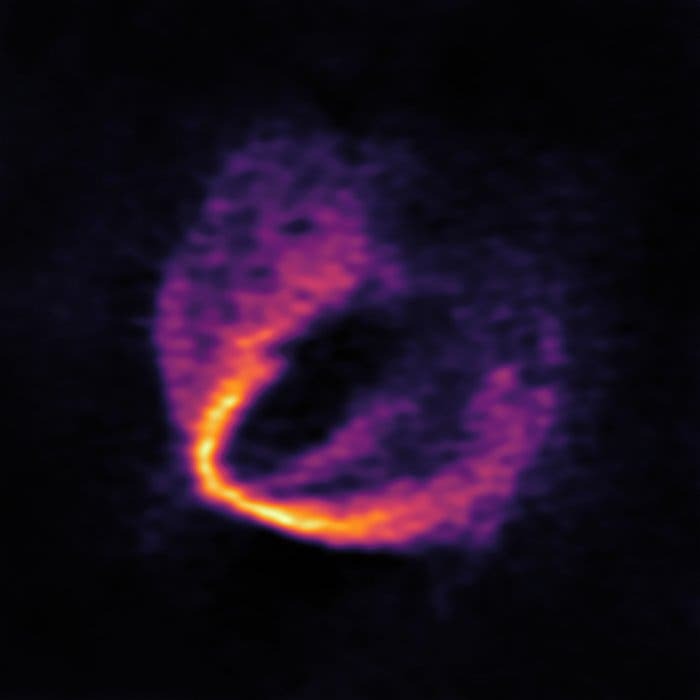 ESO, ALMA (ESO/NAOJ/NRAO); Pinte et al.